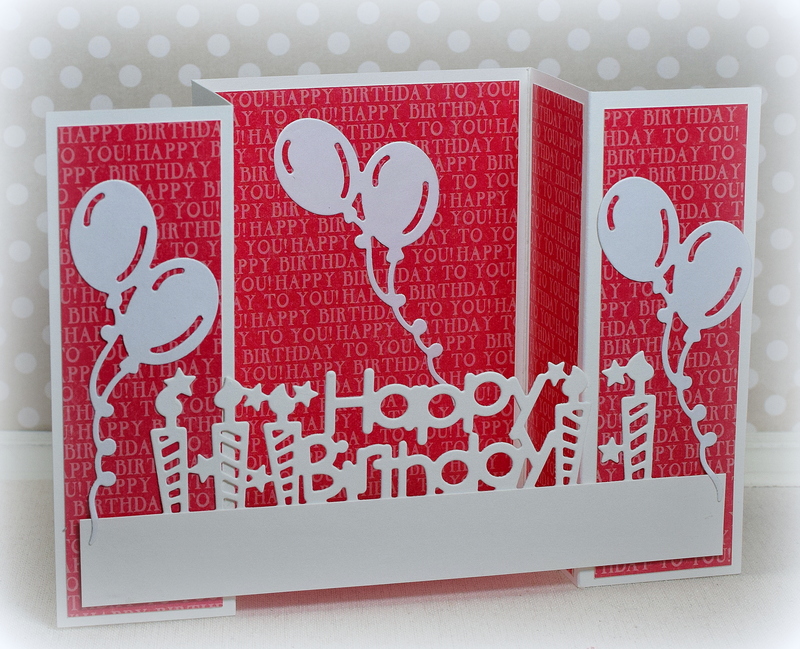 Birthday Balloons (and Bucks) Bridge Card | I Played With Paper Today! 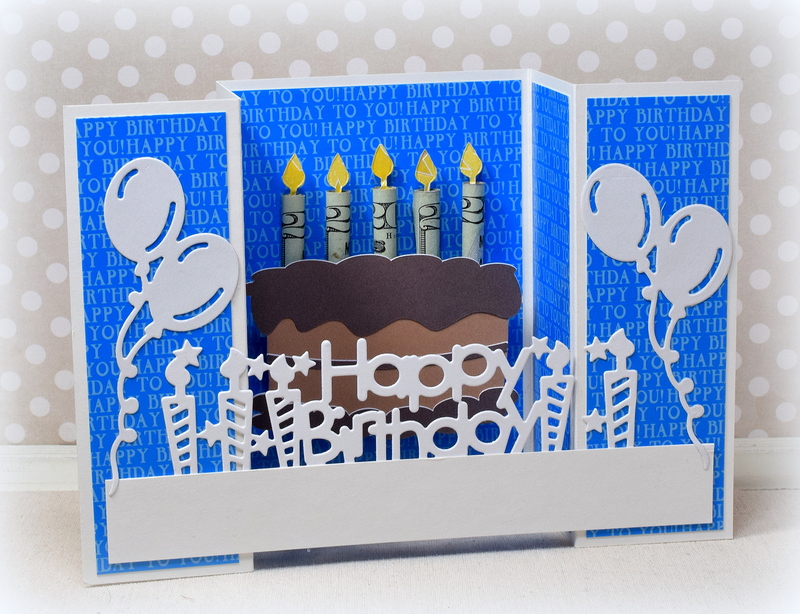 This card features a fun card base, a few die cuts… and some bucks! 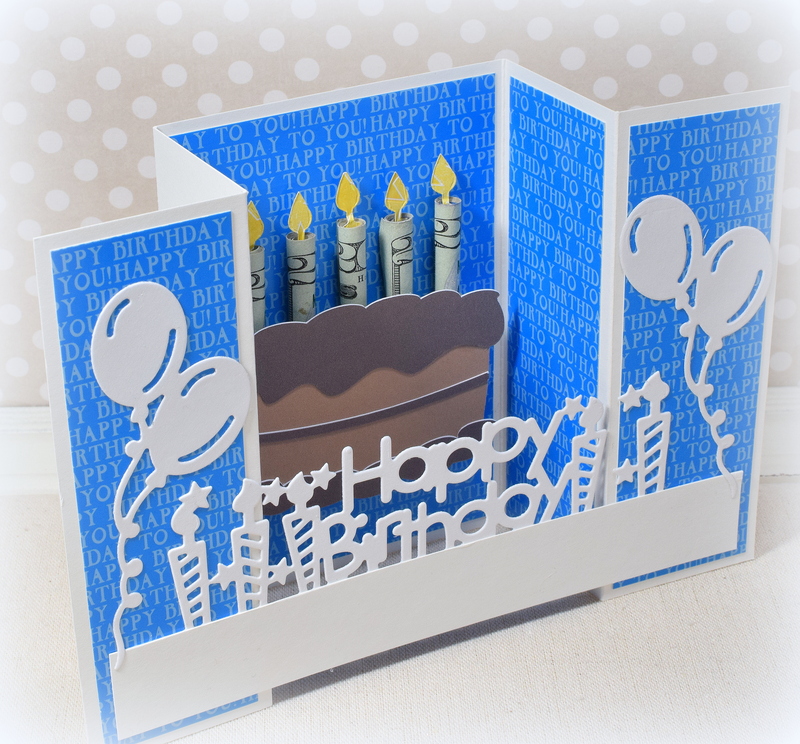 I was looking for a fun way to present a monetary gift as part of a card layout and had been meaning to try a bridge card with this (unbranded/no longer available?) 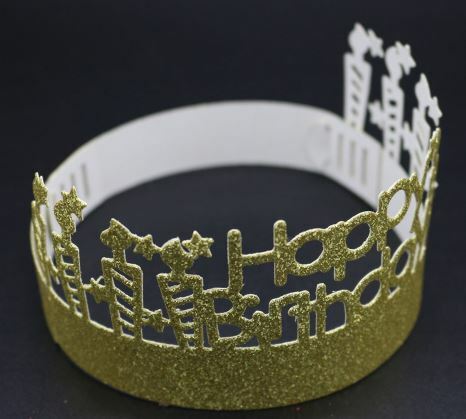 “Happy Birthday” die (which is actually supposed to make a birthday hat). 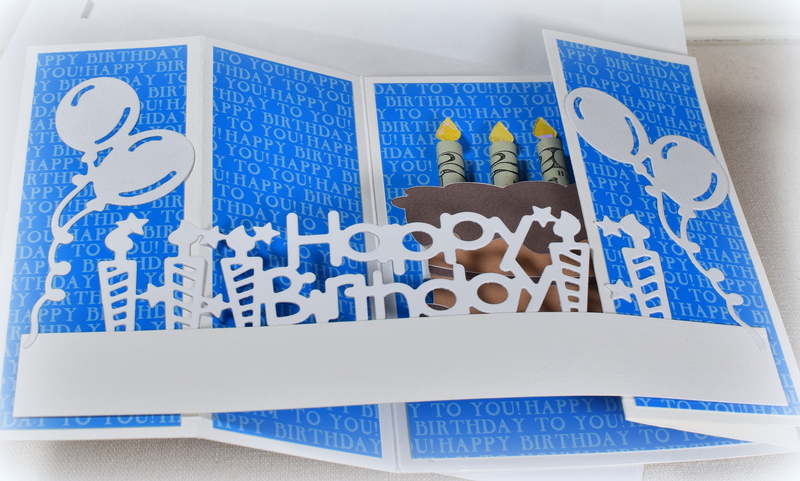 The cake was adapted from an svg file called “Birthday Elements” from svgcuts. The balloons were made from an unbranded die I found online. And the flames were cut with the Karen Burniston Cake Pop-Up Die (#1028). There is plenty of room on the back for a stamped or handwritten sentiment and signature. This card, with the money, folds flat (kind of). 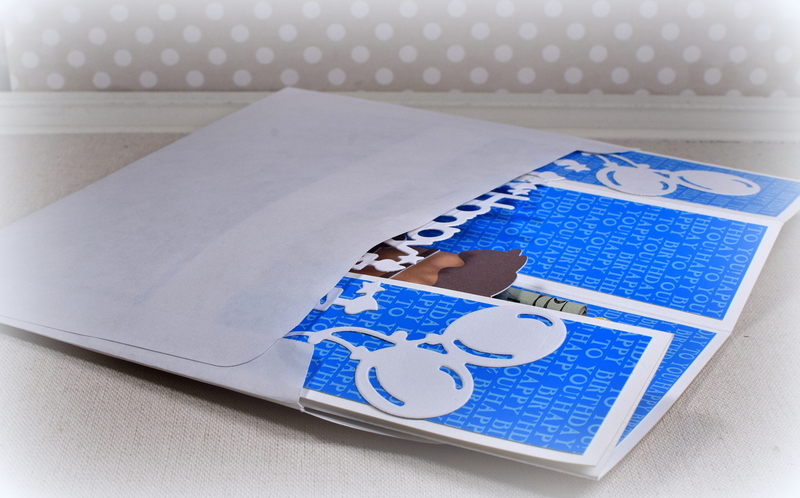 It fits in a regular A7 size envelope but is a little bulky and would require a trip to the post office if mailed – if you are comfortable mailing cash. Someone is going to have a very happy day. You combined the cuts into such a fantastic look. That is a very creative way to gift money! Really neat card fold!